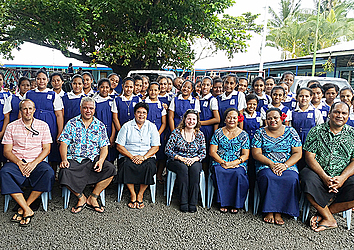 Leadership Samoa Class of 2016, together with representatives from the American Embassy, visited Saint Mary’s Primary School at Savalalo yesterday as part of their Climate Change and Environment Educational project. 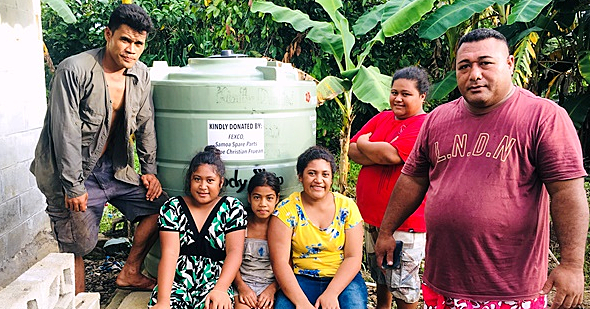 Project Manager for Leadership Samoa Class of 2016, Mulitalo Bernie Tauaanae said their roles and responsibilities throughout this project are to maintain and equip schools with knowledge of climate change initiatives relating to recycling and replanting for the future. “We also have a climate change competition which is based on two separate categories, recycling and replanting. The requirement for the competition is the quality of the work and the students input in terms of what they gain from it and how they are going to take it to their communities,” Mulitalo said. Mulitalo added the U.S-funded project is supported by the Ministry of Natural Resources and Environment (M.N.R.E. ), through the Environment Sector. “We travelled to Savaii to visit our five schools there through M.N.R.E. because we have regular visits and monitors for the project. 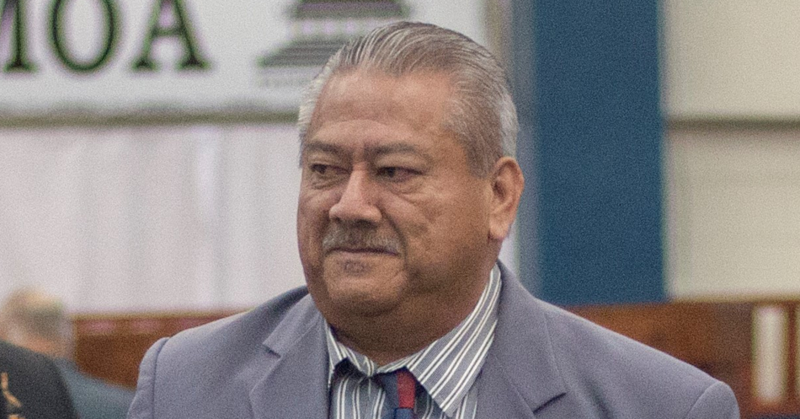 There are five schools in Savaii and seven in Upolu,” he added. Acting Ambassador for the U.S. Embassy in Samoa, Dolores Prin expressed her appreciation towards the role that Leadership Samoa Class of 2016 plays in promoting a clean and healthy environment. “I am personally so inspired by it, seeing the Saint Mary’s kids today (yesterday), and just by a brief conversation with them, you can judge a school by its students and they are all just wonderful and energized about it,” she said. Ms. Prin said they give multiple grants a year throughout Samoa, Niue, Cook Islands and New Zealand. Principal of Saint Mary’s Primary School, Sr. Masela Tenisio stated the main idea is to educate the young ones in knowing what to do when they leave school. “Every morning the students collect the dead leaves of plants and sort them out into groups, so when the compost is ready it helps with the growing of our vegetable garden. We also collect plastic bottles and cans to put inside our recycling bin,” Saint Mary’s Primary School Head of Science Department, Theresa Leone Anitelea said. The project is in line with Goal 13 of the United Nations Sustainable Development Goals - taking urgent action to combat climate change and its impacts.